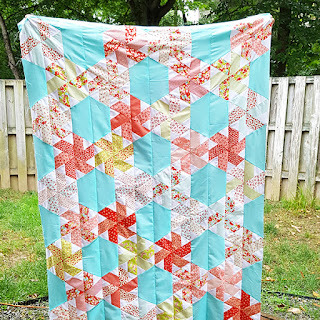 Fat Quarter Shop's Jolly Jabber: Little Ruby Quilt Along – Part 4: Finished Quilts! Little Ruby Quilt Along – Part 4: Finished Quilts! 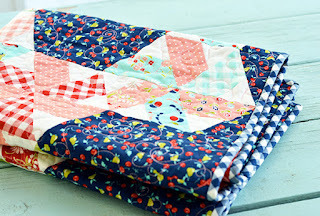 Welcome to Part Four of our Little Ruby Quilt Along! 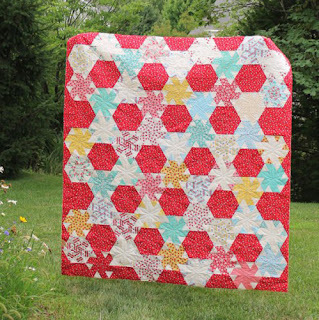 This gorgeous Little Ruby quilt, designed by Camille Roskelley of Thimble Blossoms, features the Little Ruby fabric collection by Bonnie & Camille. 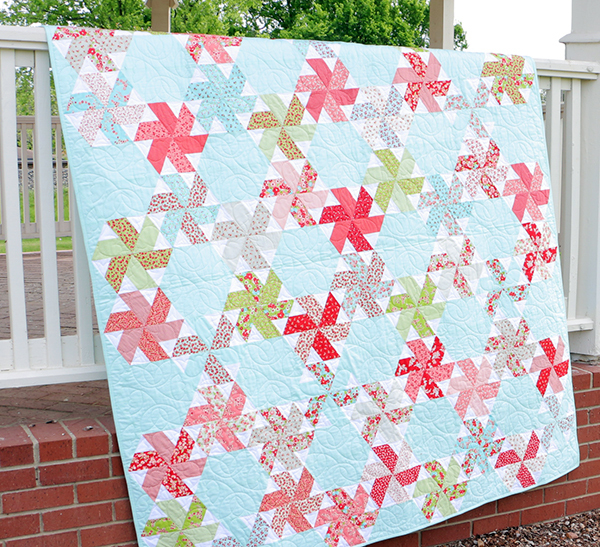 Last week we shared a video on how to assemble the quilt, and this week we're showing you finished quilts! 7/11/16 - Finished Quilts - that's today! 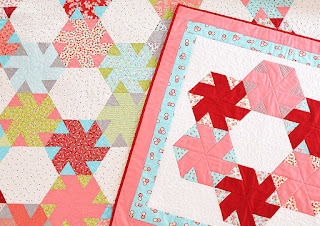 In case you're new to Little Ruby, this is a great pattern because it yields two related quilts. Two quilts?! Yes! 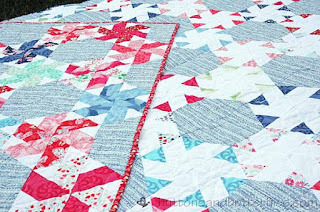 This quilt pattern is super cool because you'll actually end up with enough blocks for two different quilts if you add additional background fabric and binding! 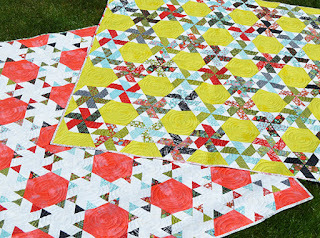 FYI: The background fabric used for the second quilt, the quilt on the right in the image below, is Little Ruby Coral Little Sundae. If you're ready to start your Little Ruby Quilt we've got tools to help you complete a Little Ruby quilt of your own. Not only will we share three separate video tutorials to show you what to do, step-by-step, we also have some Creative Grids Rulers that are going to make cutting and piecing so much easier. Woo hoo! 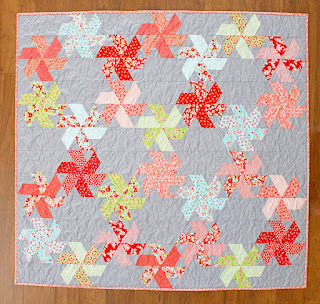 If you want to make the exact quilt shown above, you'll be happy to know we're offering a Little Ruby Quilt Along Kit! 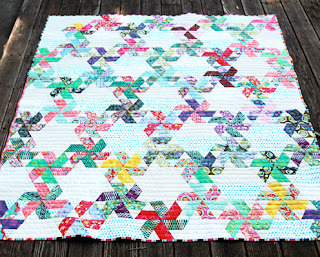 This quilt was designed by Camille Roskelley exclusively for FQS, and it's such a beauty! We also have a coordinating Backing Set! 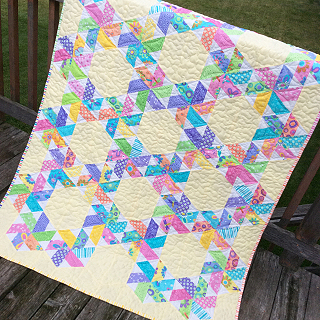 Now for a peek at some of the finished quilts our quilting blogger friends created! 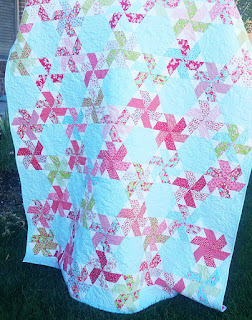 Stop by their blogs to see which fabrics they're using and what their finished quilts look like! We'd like to thank each and every one of these quilters for Quilting Along with us! Thank you for following along with our Little Ruby fun! Happy Quilting!